While traditionally round diamonds are the first choice for many engagement rings, fancy shape diamonds are becoming popular. 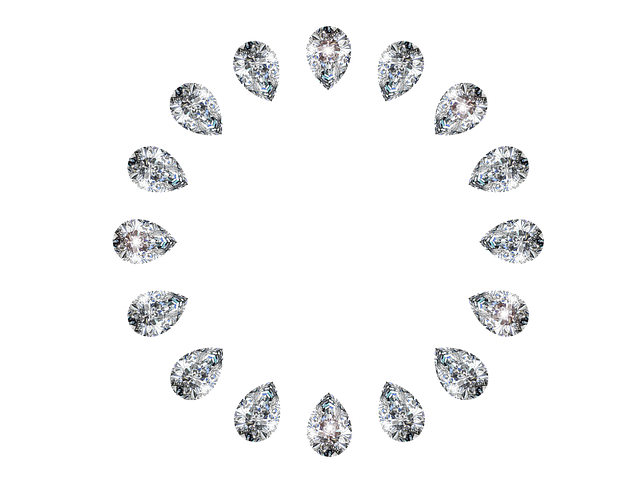 There are mainly nine different types of fancy cut diamonds, namely: Princess, Marquise, Oval, Radiant, Pear, Heart, Cushion, Emerald, and Asscher. Other than Emerald and Asscher, with their longer rectilinear and square facets (referred to as step-cuts) which place emphasis on clarity over brilliance, the other types of fancy shaped diamonds are considered brilliant cut, reflecting those eye catching sparkles. Square in shape with pointy corners, princess cut has traditionally been a stellar choice of non-round diamonds for engagement rings. Its sharp corners are more susceptible to damage and the colours may be more visible at the corners—although the prongs of the setting can often help to protect it and obscure the colours. Faceted like a princess, yet often rectangular like an emerald, the radiant-cut diamond distinguishes itself with trimmed, or flat, corners making it a very versatile choice. Oval cut is basically an elongated round diamond. It is the classic shape of many precious jewellery pieces. It carries the carat weight well and appears just as bright and lively. As the market demand for fancy shaped diamond moves from square to curves, oval is one of the most sought after fancy cut. Pear cut diamond is shaped like a teardrop, with a rounded end tapering into a single point. Similar to oval cut, the elongated length is an excellent alternative to a round-cut in a solitaire setting. The pear cut diamond has been made famous by Chaumet’s ‘Josephine Collection’, signature design shaped its ring like a crown with a pear shaped center diamond. A marquise diamond is shaped like a football with tapered ends. Its long, narrow shape maximizes carat weight, giving the illusion of a much larger diamond. It suits those long slender fingers who fancy a bit of twist. This brilliant cut diamond also looks beautiful when set with round or pear-shaped side stones. The heart has been the ultimate symbol of love since the Middle Ages, thus a bold and distinctive choice for an engagement ring. Simply a pear cut with a notch at its top, it works well with a variety of other jewellery styles, such as matching pendants and earrings. Cushion or pillow-cut diamonds range in shape from square to rectangular and have been a popular choice for those who like squarish diamonds that’s not too rigid. What makes this cut unique are rounded corners and larger facets, which increases brilliance and highlights clarity. It stands well on its own or as a three stone piece. Emerald shape diamonds stand out because of its rectangular and clear facets. This cut has much higher requirement for clarity than its brilliant cut friends because of the unique large, open table (or face) which allows for a clear view deep within the stone, but its elegance and nobleness makes them a fine choice for many. Asscher cut is nearly identical to the emerald-cut, except that it is square shaped. And similar to the emerald-cut, clarity is the key, so if one chooses this cut with lower clarity grades, be sure to view the clarity plot to see where the inclusion lie. Choosing different shaped diamonds is purely of personal taste, however, what is worth noting about fancy-shaped diamonds is that they are generally less expensive than an equivalent round diamond. Additionally, fancy shapes can appear larger than their carat size, especially when placed in a halo setting, therefore adds in that extra bit of pleasing surprise.